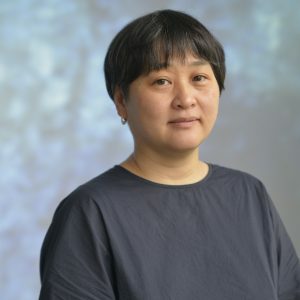 Tomoko Mukai engages with cultural and spatial projection through computer-generated optical landscapes. Her approach aims to provide intuitive experiences focusing on complex relationships between information, memory and bodily perception shared in social life. She has presented them at various kinds of sites as cultural and historical hubs in local communities, namely architectures as cultural heritage, a church, temples, shrines, former school, river and cultural institutions. For community projects, she works on the utilization of cultural heritage and art resources. She proposes exhibition design and organizes workshops for children from aspects of museum informatics in cooperation with museums and libraries. She emphasizes interdisciplinary collaboration with other different fields of professions. In such collaborations, she fosters to stride across the boundary of platforms for expressions between different genres. She also explores bodily perceptions and mental states by using spatial projection in collaboration with professions for the field of wellness. She engages in design and art education at many domestic and foreign Universities (See “Teaching Experience” below). She struggles with the project-based practical and theoretical teaching from aspects of creation, curation and museum informatics. She contributed to the development of international exchange workshops and projects in cooperation with foreign universities. Copyright © 1997-2019 Tomoko Mukai, All Rights Reserved.